After 50 years the Crypt of Leonardo is open, it is one of Milan’s ancient churches. Built on the site of the Roman Forum of Milan, San Sepolcro church was founded in 1030 and was dedicated to the Holy Trinity. It was rebuilt for the first time in 1100 as San Sepolcro church and has experienced many modifications over the years. The Roman Forum of Milan was the main square of the Roman civitas, where they carried out major civil and religious activities. It is located in the urban area between Piazza Pio XI, Piazza San Sepolcro and Via della Zecca. This area hosted the platea forensis, the venue of the main public buildings: the Curia (the palace of the local Senate meeting), the Basilica (where justice was administered), the Capitolium (the temple dedicated to the “Trieade Capitolina“: Jupiter , Juno and Minerva), tabernae (shops, craft shops, eating places). The Roman Forum came back to light during the restoration work of Biblioteca Ambrosiana, which occurred between 1990 and 1992. 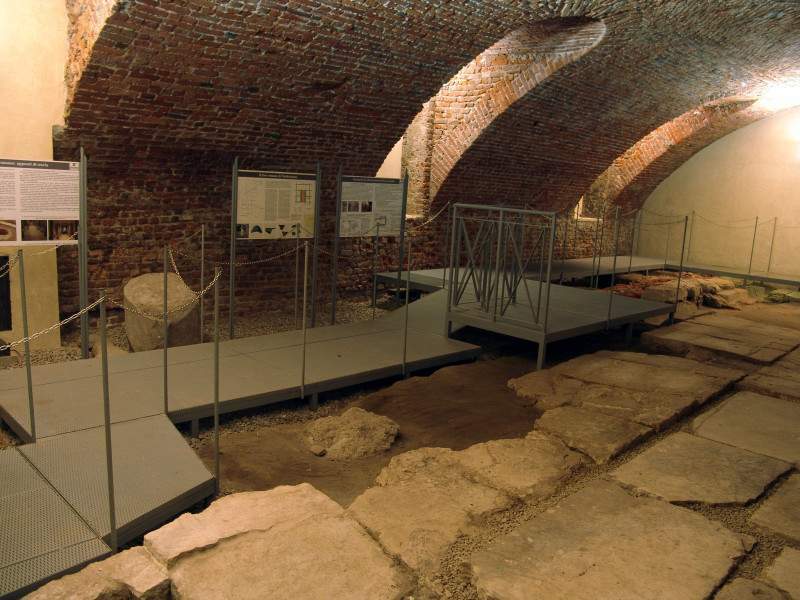 Visitors can see part of the floor, made up of white stone slabs “di Verona,” used by the I century AD. Visit Roman Forum of Milan thanks your MilanoCard. 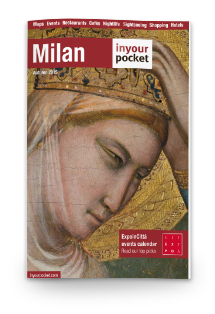 WITH MILANOCARD: Crypt of Leonardo + Roman Forum 10€ instead of 13€ !